MONTEREY, CA – April 3, 2018 – LanguageLine Solutions® has released its breakthrough TrueSound™ audio-amplification enclosure, a case that nearly doubles the sound volume of an iPad’s internal speakers. It accomplishes this without the need for external speakers, wires, batteries, and chargers. TrueSound represents a major user-experience enhancement for LanguageLine InSight®, a revolutionary application that delivers on-demand video and audio interpreting at the touch of a button. The durable, 15 in. x 8 in. enclosure fits securely around iPad devices. It is an all-in-one solution that naturally amplifies sound volume while eliminating the need for extra equipment. Clients have raved about InSight’s functionality over the past year, giving their just-completed interpretation sessions an average score of 4.6 stars out of a possible five. “Our goal is to deliver total and complete client satisfaction. When clients raise issues or suggestions, we listen carefully and act,” LanguageLine Solutions President and CEO Scott W. Klein said. “Rather than be satisfied with InSight’s initial success, we were determined to strive for a perfect user experience, which includes the ability to better hear our incredible interpreters. A handful of LanguageLine clients were given the opportunity to test TrueSound ahead of today’s launch. One was Upstate University Hospital in Syracuse, NY. 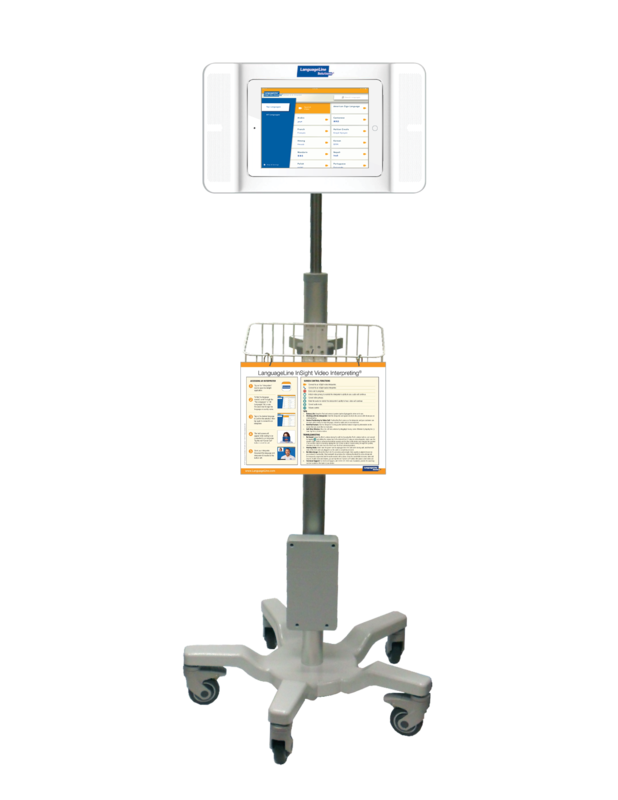 TrueSound (patent pending) is compatible with LanguageLine’s Interpreter on Wheels™ rolling cart and table-top stand. It is simple to assemble, easy to clean, and comes with a one-year, no-cost warranty. TrueSound is available only to LanguageLine InSight clients. There is no comparable product in the marketplace. Clients should contact their LanguageLine account executives directly to place an order. Please visit the LanguageLine website to learn more about TrueSound. LanguageLine Solutions has been the global leader in innovative language-access solutions since 1982. The company sets the global standard for phone, video, and onsite interpreting, as well as translation, localization, and testing and training for bilingual staff and interpreters. LanguageLine is trusted by more than 28,000 clients to enable communication with the limited English proficient, deaf, and hard-of-hearing communities. 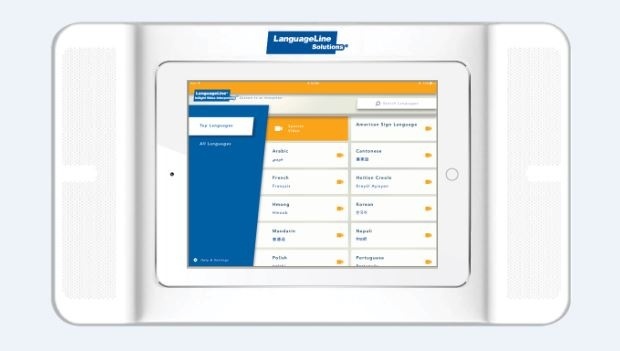 LanguageLine provides the industry’s fastest and most dependable access to 9,000 professional linguists in more than 240 languages - 24 hours a day, seven days a week, 365 days a year. LanguageLine facilitates more than 36 million phone, video, and onsite interactions every year.